The chart-topper is not only among the figures performing in the Urban Classic Prom at the Royal Albert Hall next month, but is to make a two-part documentary about his experiences for BBC Three. Fazer is set to stun many of his fans by revealing his own interest in classical music and hopes to spread his enthusiasm to British teenagers as well as taking a group of musicians to perform with him at the venue who have little time for orchestral scores. He will team up with the BBC Symphony Orchestra to perform his new composition on August 10 which will combine classical music with an urban groove. It will also feature seven recruits who find the idea of classical music boring and "posh". They include 18-year-old gospel singer Shevelle and rapper Curtis, 17, both from London, as well as a drummer and a mandolin player. Fazer - who featured in N-Dubz alongside Dappy and Tulisa Contostavlos - said: "Hopefully they'll get the same inspiration and feeling that I got when I first worked with an 85-piece orchestra. It's like 3D music - music in high definition." 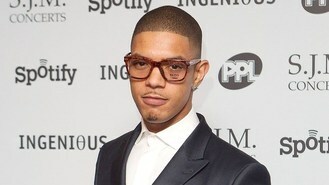 The two-part documentary, with a working title of Fazer's Urban Symphony, will follow later in the year. BBC Three controller Zai Bennett said: "I'm really excited that this year BBC Three viewers from across the UK will be able to watch the first ever Urban Classic Prom as well as getting a first-hand, behind-the-scenes account from Fazer and his urban orchestra of the kind of preparation involved to performing at such an event."